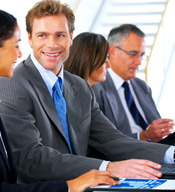 Red Raven Group is a collection of seasoned professionals who have spent years maximizing revenues, minimizing costs, and finding unique ways to enhance or monetize credits and legacy assets for their clients. Each of our Senior Partners has held multiple C-Level positions and numerous board positions. Our clients range from telecom and other technologies…to oil and gas services…to commercial real estate…to health care services and have covered the full spectrum from startups to multi-billion dollar corporations. Our primary focus is on companies that are looking for better avenues of cost curtailment, revenue enhancement, or even growth capital. We are experienced in bankruptcy reorganizations and asset acquisition from bankruptcies.